“No thanks. I can do it myself.” How often do we hear ourselves say that, and then we think, “Darn! I should have said yes!”? Probably more often than we would care to admit. Many of my clients are small business owners or have very busy lives that include demanding careers. They call me to help them streamline their lives and in the next breath say, “I just can’t delegate.” Sooooo, how exactly am I to help, then? Freeing up time and space is difficult if we insist on doing everything ourselves. In that case, before we can create an organizing plan and start hands-on work, we have to have a little discussion. We need to plumb the client’s beliefs about asking for help, establish boundaries, and manage expectations. Forget what others may think of you if you ask for help. We have to acknowledge that asking for help is not a sign of weakness. As someone who prides herself on being fairly capable in a variety of different areas, I too forget this. 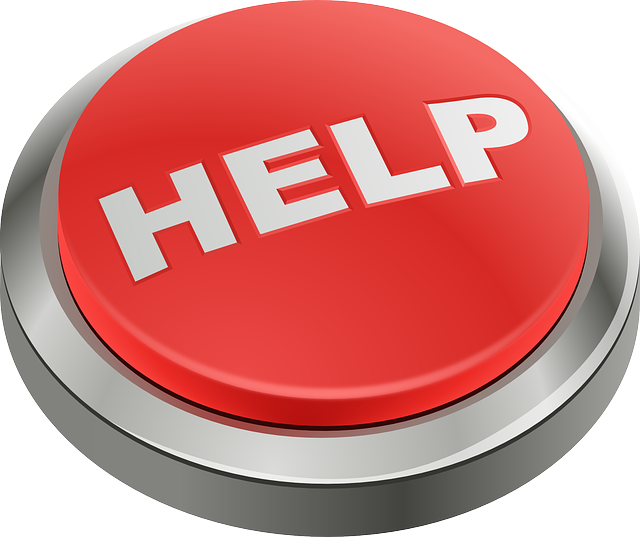 I can say that asking for help does not mean someone is “less than” – not smart enough, not strong enough, not good enough. It does mean that someone is in touch with his/her limits and knows when s/he has reached them. Humans are an interdependent species. We need other people. We aren’t all good at everything. There are things we each do well, and there are things that others do well. “Do what you do best and delegate the rest” is one of my favorite phrases. Imagine having to do everything yourself – everything. You would never perform heart surgery on yourself, right? Some things have to be done by other people. Think division of labor. More hands make light work, and therefore create more time for everyone to do the things they like to do, rather than spending all of their time doing the things they have to do. Asking for help and delegating require that we give up a bit of control over the outcome. Some of us have perfectionist tendencies, thinking that no one can do something as well as we can. That may be. Someone else may have a different level of expertise but may also have innovative ideas. A new pair of eyes may see creative solutions to a situation that let everyone benefit. Establishing trust and allowing someone else to do something may require some practice, but the ultimate result is both parties grow – their skills, their emotional maturity, and their relationship. Asking for help and delegating is solid self-care. We have only so much energy and brain capacity to go around. Conserving some of it by accepting assistance from others allows us to give our well-rested, mindful, present, nourished selves to the people and activities that mean most to us. I give you permission to accept help and to therefore value yourself. Asking for help and delegating allow someone else to do a mitzvah (a good deed). Some people really do operate from a place of love and altruism. They thrive on doing things for others. If we do everything ourselves, we deny these people the opportunity to live in their sweet spot and thrive on being true to themselves. Go ahead and say, “Yes, thank you,” the next time someone offers to help you. Enjoy the few extra minutes that person freed up for you and then pay it forward by helping someone else.